I’d say week 3 of Portland Marathon Training went well. I got my scheduled runs in and on July 4th, I completed the Runner’s World Summer Run Streak. Woohoo! 41 days of running at least a mile of day completed! That is my longest run streak ever! The last one I did ended at 37 days. Monday – Ran a mile and then did Insanity Max:30 Cardio Challenge. Had a great sweat session and maxed out at 17:32. Tuesday – Ran 3 miles. Wednesday – Ran 6 miles. Thursday – Ran a mile to continue the run streak and then did P90X3 Dynamix. This is a great recovery workout with dynamic exercises/stretches. Friday – Ran 6 or so miles. My GPS was wacky that day on my Garmin. Not sure what happened there, but it was a first and of course it happens when I go a different route. Strava had me at 6.8 miles. Saturday – Ran 9 early morning miles outside before hubby went to work and then finished with 3 miles on the treadmill for 12 miles total. Saturday marked the end of the Runner’s World Run Streak and I feel somewhat relieved that it’s over lol. I like rest days. Now onto the weekend update, here are the highlights. 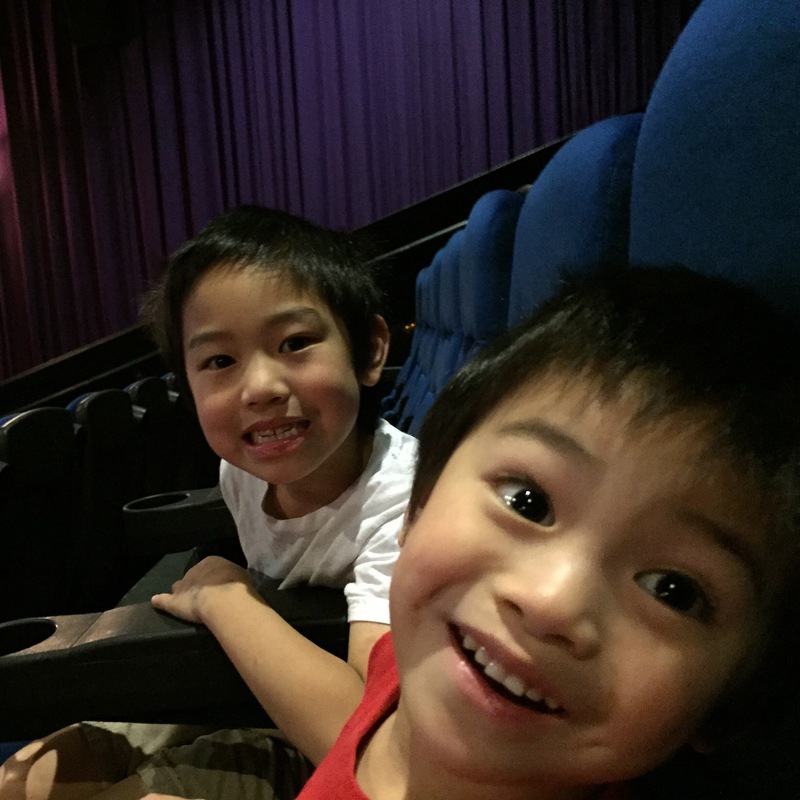 On Friday, I took the kiddos to the movies and we watched Inside Out. I thought it was a cute one. It had me laughing at parts and the kiddos enjoyed it. 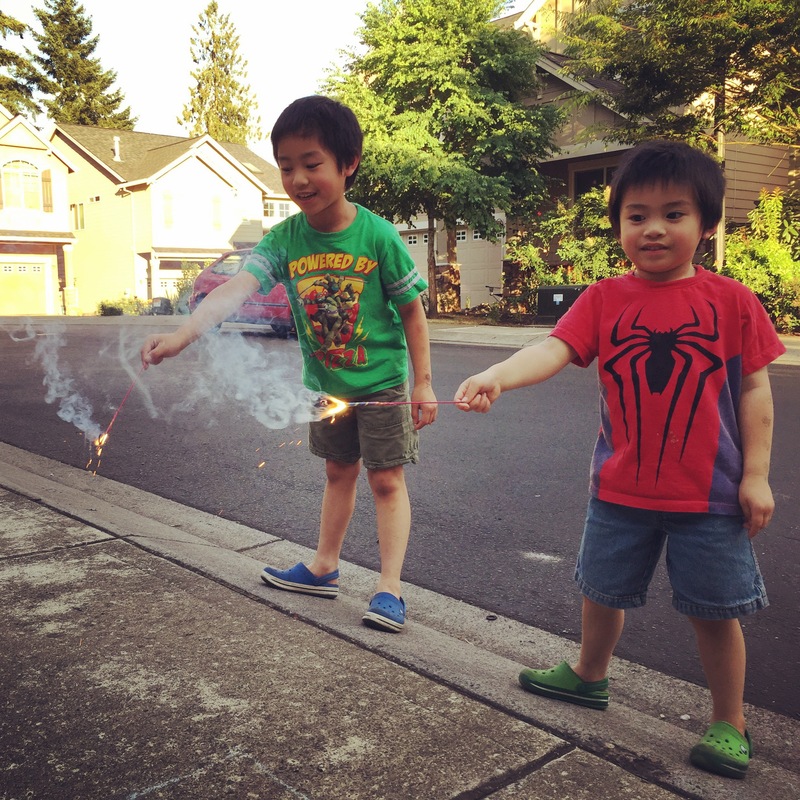 Saturday was July 4th so the kiddos had fun with some fireworks. It would have been fun to go watch a big show, but I had to work on Sunday. 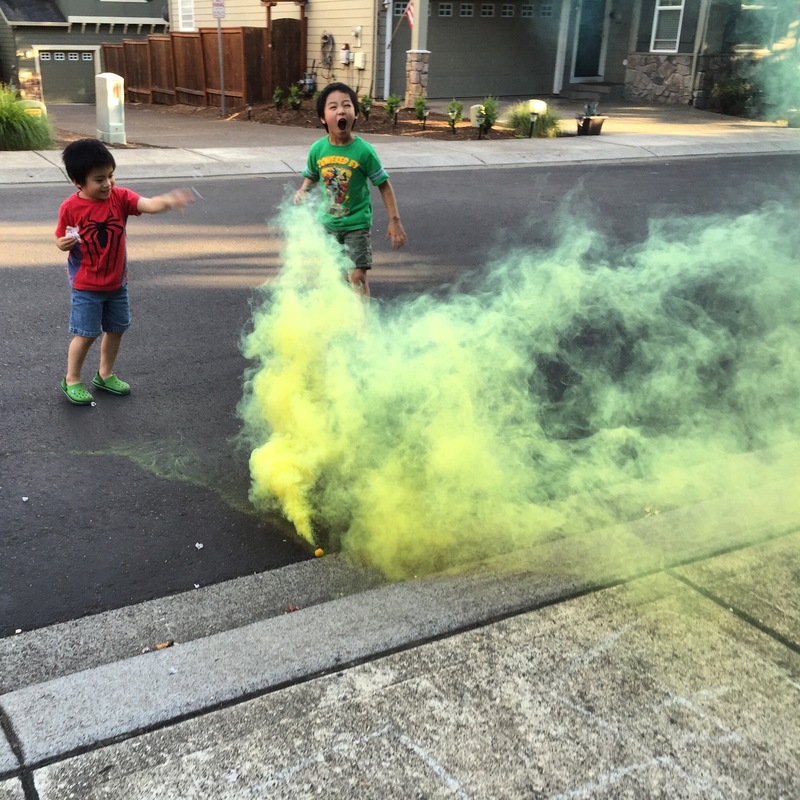 My kiddos enjoyed the smoke bombs and sparklers we got them. How’d your weekend go? See any good movies lately? Haven’t been to the movies in forever & I miss it! I lime my rest days, too. Never done a running streak & no desire to. We’ve just begun to start going to the movies again. Haha, run streaks aren’t for everyone. Nope, you won’t find me streaking. Great job on the streak! Are you glad it’s over? Thanks Wendy! I am a bit glad it’s over lol. Found you through Tara’s weekend link up. Great job on the training and the kids look like they had a ball with the fireworks! Congrats on completing the run streak! That must feel awesome! Sparklers! I love those. I mean to get them (and punk sticks) every year and forget. Yes! Sparklers are so much fun! Congrats on completing your RW Run Streak; that is awesome! I didn’t do it this year, but I did it last year; all of you ladies have me kind of wishing I’d done it, so…maybe next year?!? HA! We’ll see! They usually do one in the fall, too. I would LOVE to see Inside Out; a coworker told me she thought she enjoyed it more than her kids did – ha! Thanks so much for linking up with the blog; hope your week is off to a great start! Oh my gosh I miss being able to do fireworks in front of our own house! It’s been years since they’ve been legal here but looking at your boys with those sparklers brings back fun memories! Great job on your marathon training! !